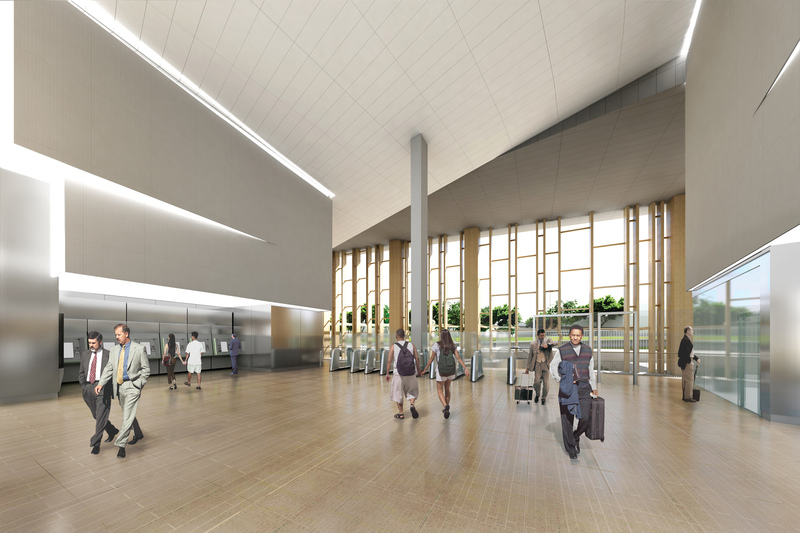 The Grand Paris new metropolitan’s station, located in Le Bourget, will become the entry point to the city. 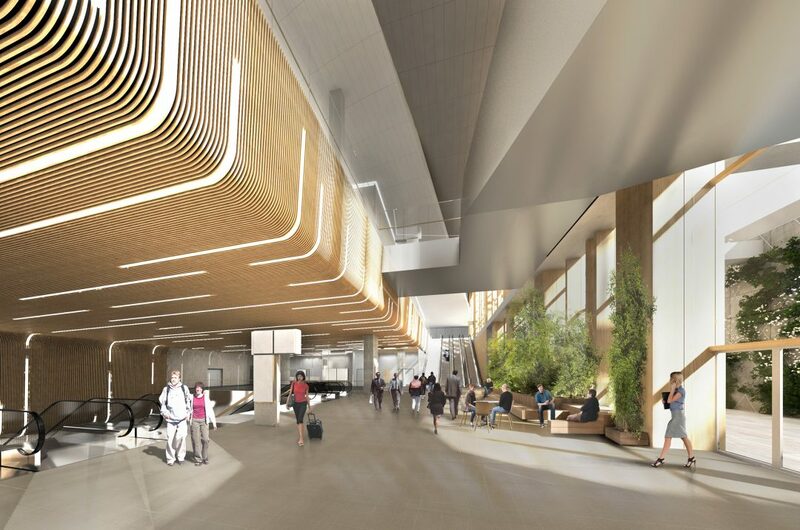 Connected to the Grand Paris Express (GPE), the future regional urban center, in conjunction with the international airport hub, will be fully integrated into the Grand Paris network. 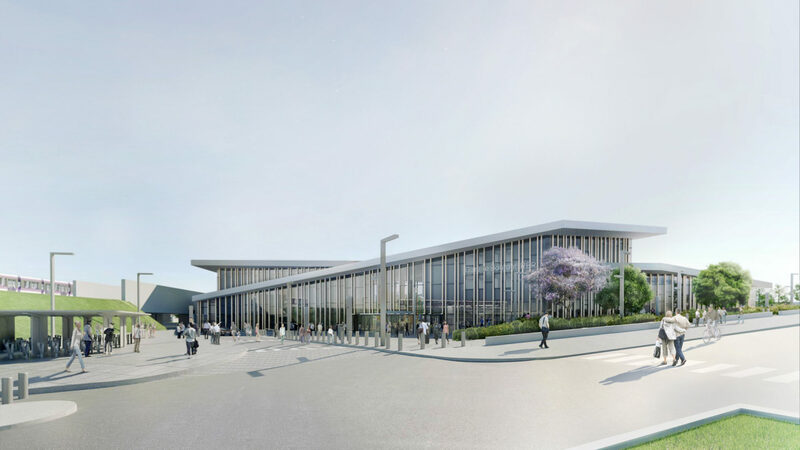 It will be a strategic site for the connections between Le Bourget, Drancy and La Courneuve. 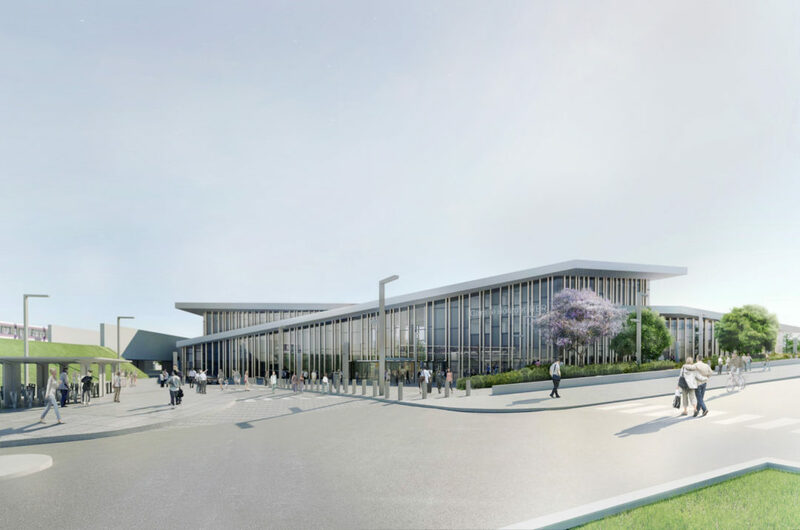 The new station will be a hub connecting different means of transport at different scales: local, regional, national, and international. It will help to develop a more efficient network while achieving economies of scale through the concentration of resources and efficient interconnections. The architecture of the station responds to the identity of the city and of this kind of structure. 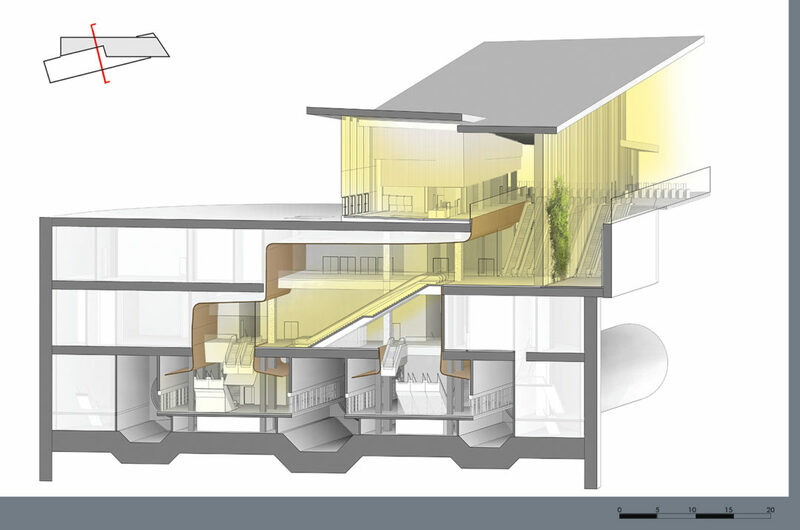 The sloped, pitched roof allows the building to adapt to the marked differences of level within the site. The dynamic form of the roof emphasizes the idea of mobility, just as it evokes the notion of aviation, deeply rooted in the history of le Bourget. The station’s accessibility is designed to be intuitive, efficient and to optimize the access to five different means of transport. 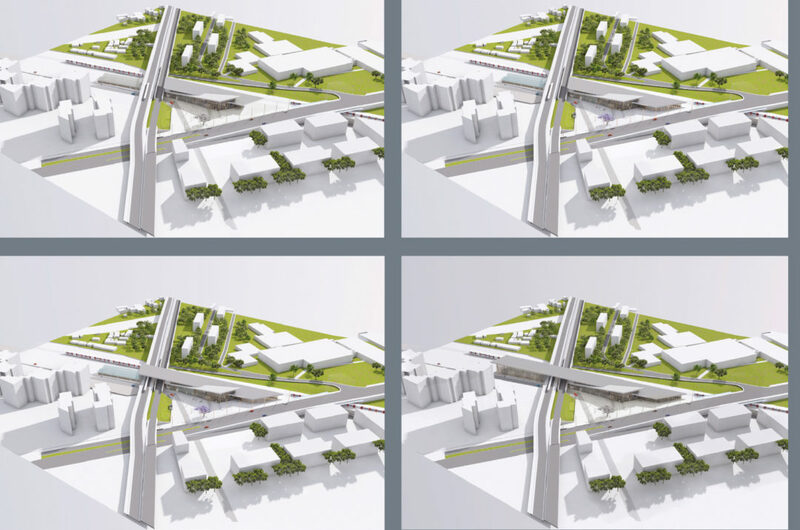 A large forecourt with a gentle slope will serve the two levels of the stations and will become a new urban forum, fostering local animation and quality of life for the residents and passengers. 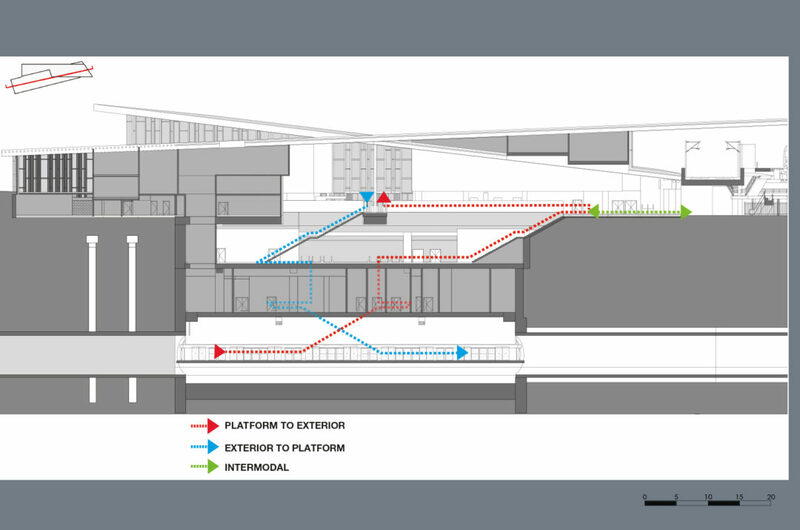 The architect’s “total-flex” concept gives flexibility to the underground platforms, allowing them to be extended in length, height and partially in width. The freedom of future programming (small businesses at the docks level, connection with other means of transport, extension of the railway network, etc.) will allow for the mutation of uses and of the function of the programs of the sation, making it a durable facility. The combination of warm wood, and the strong presence of nature creates a user-friendly environment. 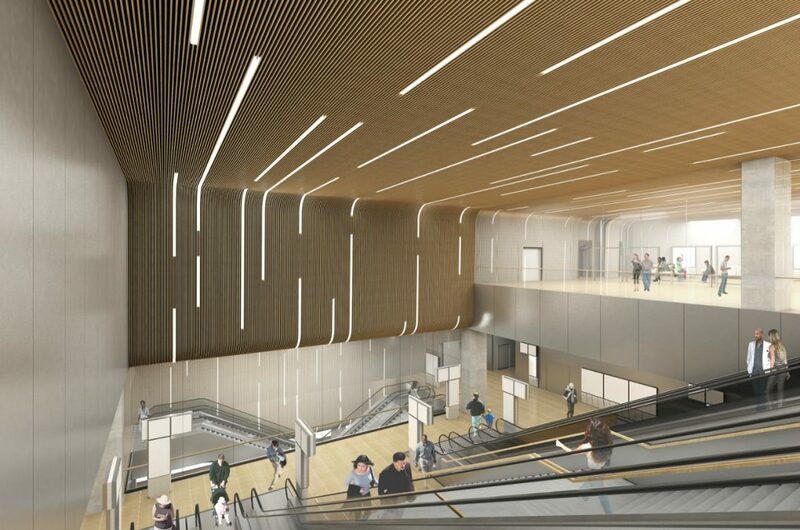 The English court obviates the feeling of “basement” bringing natural light down to the underground platforms. The interior architecture is sober and is rendered more easily usable by the implementation of the signage. 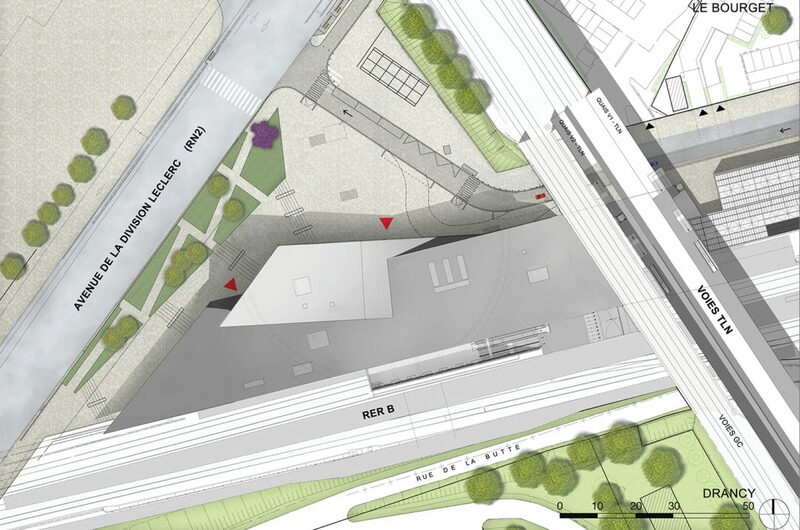 In the continuity of the works of Elizabeth de Portzamparc on the identity of cities and metropolises shown in her project for the Bordeaux tramway, this facility cannot be reduced to its technical or functional flexibility and efficiency, but should be apprehended as a project that fully embodies the symbolic identity of the city without neglecting the human scale.